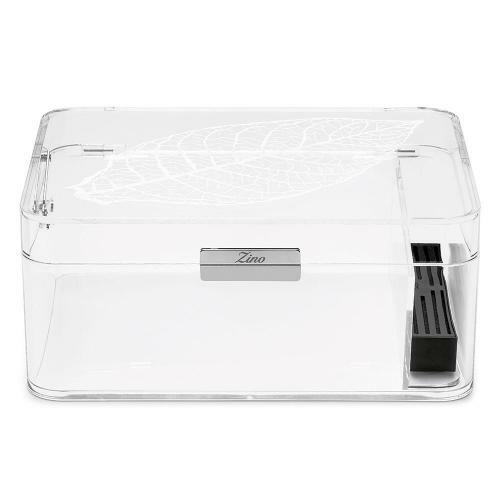 A stylish and sleek humidor which is perfect if you like to be able to view all of your smokes, featuring a embossed cigar leaf on the lid. Made with acrylic: easy to clean, water‐resistant, shatter‐resistant. Only one regulator is required to guarantee the optimum conditions of 70‐72% humidity. Cigars are kept in the correct condition to develop their full bouquet and aroma. For overseas orders and deliveries, please email sales@humidorsonline.co.uk for a quote.